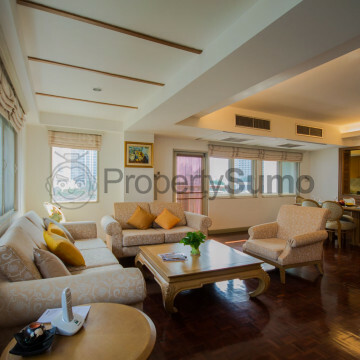 This stylish apartment building offers fully serviced apartments that are ideal for the busy working professional. 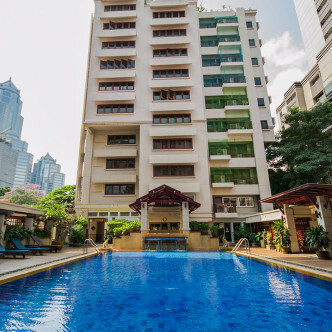 Embassy Place consists of three separate buildings and residents can choose from one, two and three bedroom units, while enchanting penthouse suites are also available. 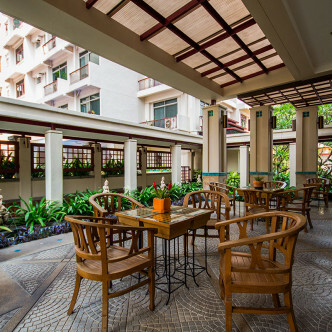 The building has been well taken care of and each unit comes fully furnished with stylish decor throughout. 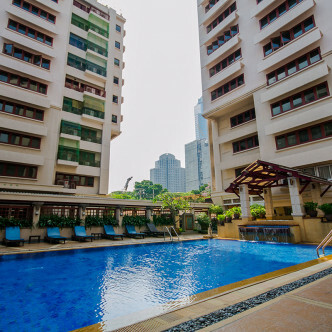 New residents at Embassy Place are sure to enjoy making use of shared facilities such as a luxurious spa and an aerobics room. The fitness centre features an excellent range of equipment, while other facilities include a sauna and steam room and a Jacuzzi where residents can soak away their aches at the end of a hard day. 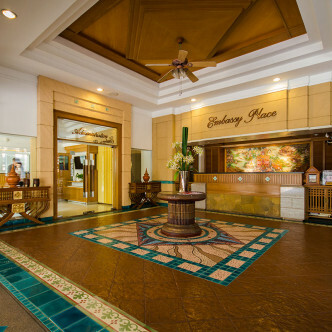 The convenient location of Embassy Place makes it extremely easy for residents to get around the city. 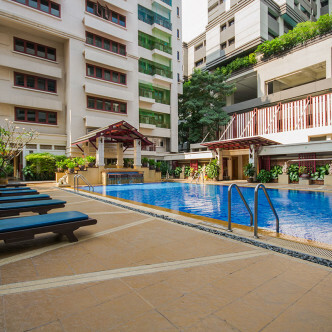 BTS station are situated just a few minutes walk away, while residents will be able to spend their spare time relaxing in the picturesque Lumpini Park. 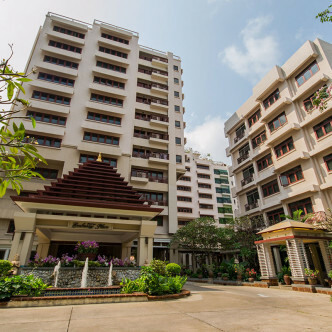 This neighbourhood is also home to modern shopping malls, a wide range of different types of restaurants and several vibrant nightlife zones.